For World of Goo's birthday today, what could be better than a pack of levels giving us nostalgia about how the game used to be, and celebrating how far it's come? 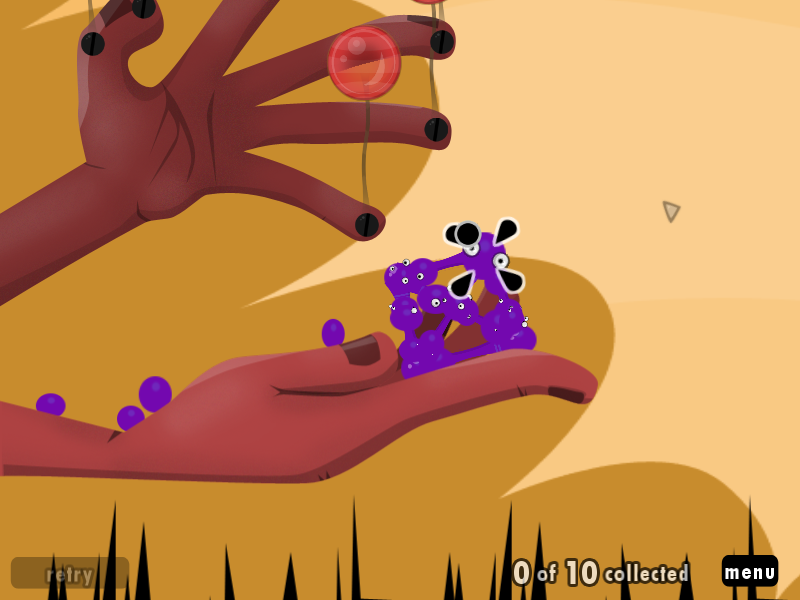 Happy Birthday, World of Goo! This is my super-secret birthday project I've been working on for the past 20 minutes. Basically, it's the old levels revised. I block-copied most of the info from the original XML files (It's surprising how little of the XML file format changed over the course of development), so these levels are as close to the originals as you can get! A few of them I made changes to, for various reasons. 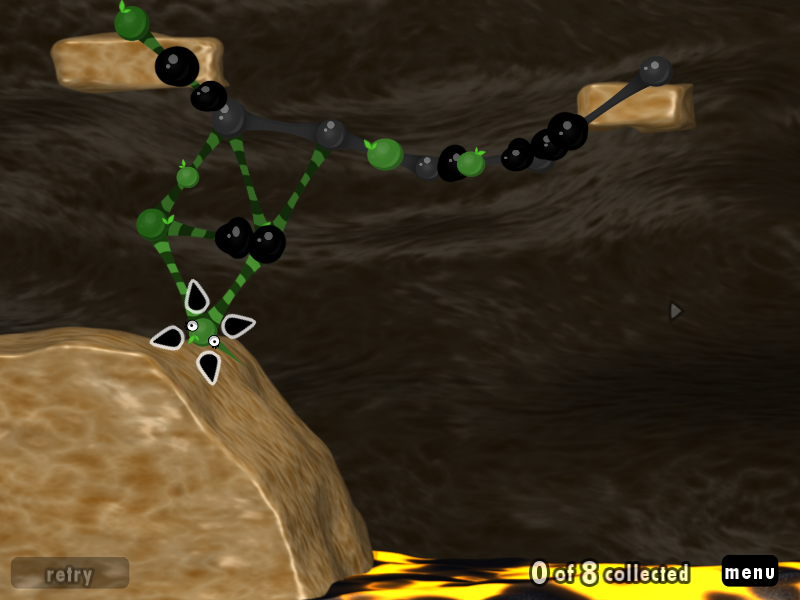 Of course, I'm using the new Goo Balls here, so the levels are pretty simple. They're really cool, though. 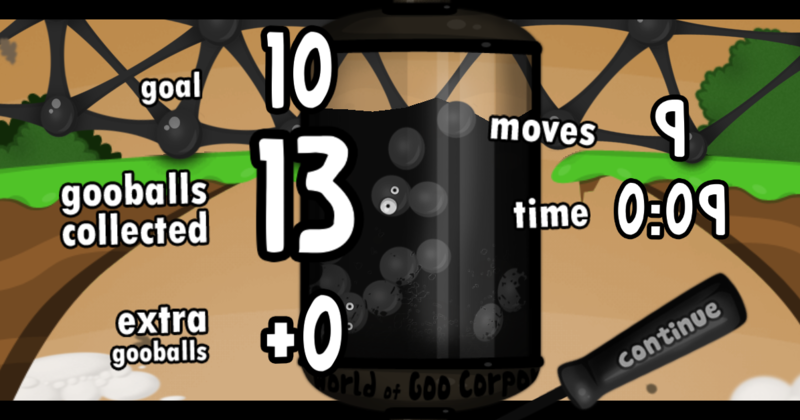 It's neat, at least for me, to see how much easier the new Goo Balls are in the old levels. 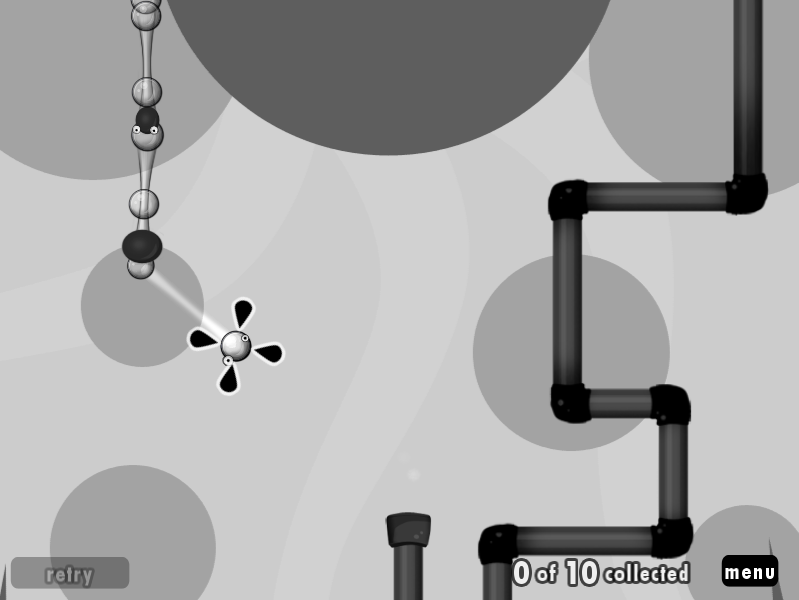 If you've played the old levels much, you'll know just how much easier. 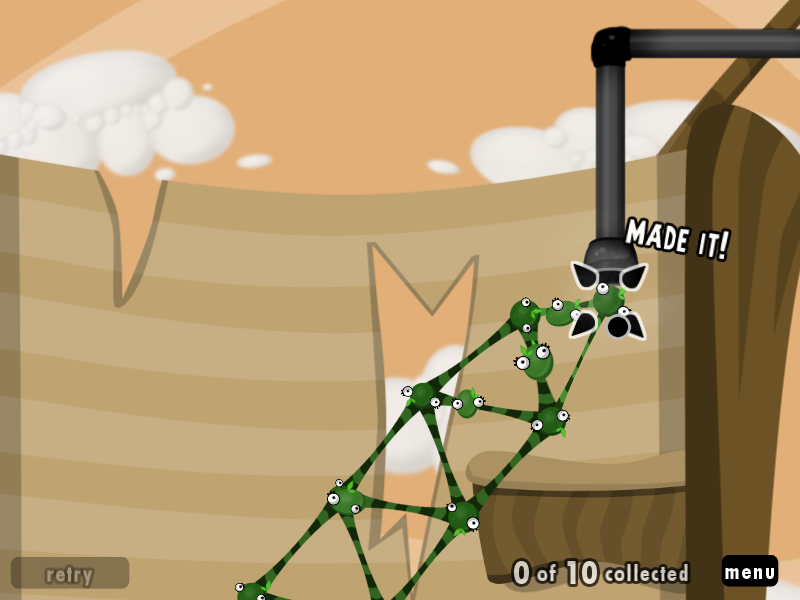 And if you haven't played the original levels, you can do so here: http://2dboy.com/2009/05/25/the-world-of-goo-wasn%E2%80%99t-built-in-a-d... Unfortunately, because of crash errors, it isn't possible to play all of them easily, but you can hack your comp's registry or do what I did and rename levels so you can play them all. These are the same as the levels I uploaded in part of the NotWOG2 pack in the forum, only all patched together into one goomod and with a few bug fixes and tweaks. Enjoy! And Happy Birthday, World of Goo! You had the same idea I did! In about 10 minutes my birthday texture pack will be out. I know! I LOVE the old music, and I'm sad that they took it out. I made sure to have the original music for each level, so each song is exactly what and where it was back in the day three years ago. Are we allowed to use this music in custom levels? Copyright and such? I did think about that, and checked Wikipedia for one of the songs. It seems to me that if 2DBoy uploaded games with these songs in them, and they haven't been sued or anything, then it's probably ok if we do, also. I dunno. I'm open to other opinions. I couldn't figure out if the one song I looked at was public domain or not. Which one? I'm pretty sure Libertango isn't, and I'm not sure if the rest are by Kyle or not. I bet MOM won't mind if I use some music. It's not MOM's, it's by Astor Piazzola. Kyle used it and distributed it, so I'm expecting we're allowed to use it too. Well, I must congradulate you all on another job well done. If a house that weighs 100 pounds (it's a small house) has five birds inside it and the birds start hovering in the house, does the house still weigh 100 pounds?. It was a bugFEATURE in the original version. No, the original version had no OCD's. Junk in the Trunk is special and should be the only level like this. It's OCD is possible, however. I remember most of these from the prototype versions and various parts of the site, including NotWog2 (drill bit). i solved the mystery how to get OCD in junk in the trunk! Bingo! I'm not sure; you may be the first person who noticed this. Good job figuring it out. Computer! Y U get virus? It's called NoGanges, and I believe it's by Kyle Gabler. I can't figure out how to use the link to play the original levels!